IPVanish is an excellent torrent proxy for safe and anonymous P2P file-sharing. IPVanish is a great torrent proxy. Unless your head has been in the sand, you know that everything you do on the Internet can be easily tracked and recorded. This continual online tracking of your activities is done by government agencies, big Internet players like search engines and social media sites, your apps, copyright trolls and countless other players via cookies and tracking elements. And downloading torrents is no exception. In fact, torrent activities are among the easiest online activities to monitor and track. This is why you must learn how to torrent anonymously and safely. One of the best ways to protect your torrenting against detection and monitoring is to use a VPN service, like IPVanish VPN, as a torrent proxy. If this concept is new to you, don’t worry. This guide will show you everything you need to know and explain why it is so important. The Details: How Does IPVanish VPN Protect Your Torrenting? There are lots of VPNs on the market (over 200+ of them!) but IPVanish is worthy of serious consideration if you are looking for a torrent proxy. 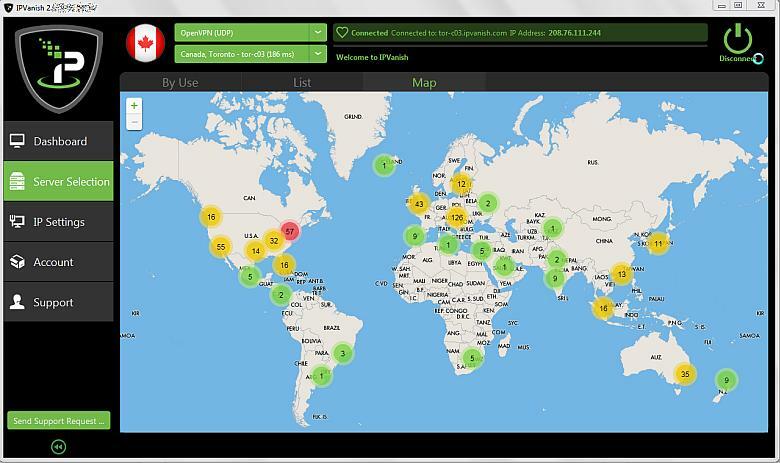 With over 40,000 shared IP addresses to use on over 1,000 servers in 60 countries, IPVanish offers one of the best VPN experiences around, especially for torrenters looking for a proxy service to protect their torrenting activities. IPVanish has a ton of servers around the globe you can use as torrent proxies. 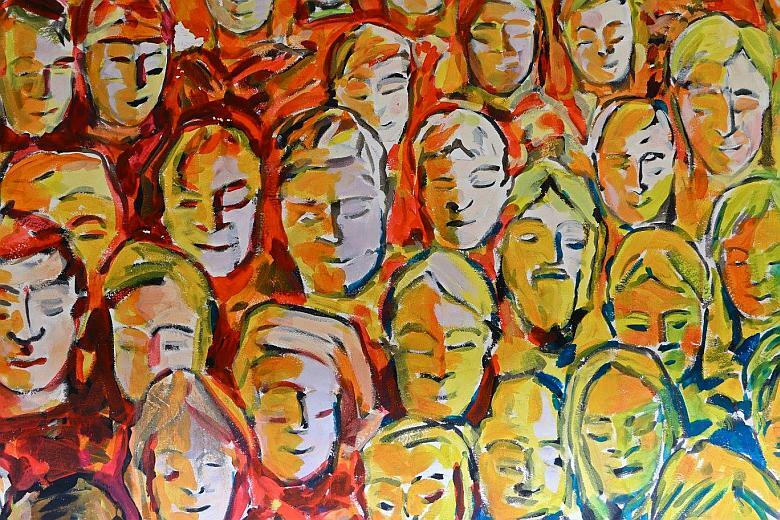 a pool of thousands of shared IP addresses from all around the world it can assign to you (top tip: shared IP addresses ensure you “blend in with the crowd” and further ensure you cannot be tracked or profiled). full torrent proxy file-sharing support. fast connections thanks to fully operating its own “top tier” VPN network (more on that further below). unlimited bandwidth without restrictions (IPVanish VPN imposes no caps or GB limits). allows 10 simultaneous connections on a single plan so you can torrent freely on all of your devices even at the same time. stable and reliable performance for all of your downloading needs whether torrents or the web. location selection: select the country or even city of the IPVanish VPN torrent proxy server you want to connect to. industry-leading 256-bit encryption of your traffic which hides your activities from detection, even from your own ISP. easy and simple to use point-and-click software and apps for all of your devices. It is worth mentioning that IPVanish is also one of the few VPN providers to operate its entire network. This is in contrast to most other VPNs and torrent proxy operators that rely on a patchwork of leasing arrangements. Operating its own “top tier” network means that IPVanish VPN can offer the fastest and most reliable connection speeds in the torrent proxy industry. IPVanish VPN is so good at keeping its customers private and safe that even hacktivists Anonymous (towards the bottom of the page) and sites such as LifeHacker recommend and stand by it. The only major disadvantage of IPVanish VPN is that it is based in the United States and this may make it susceptible to NSA-style surveillance (although we don’t think the NSA is interested in your torrent file-sharing habits). If this turns you off, check out a reliable torrent proxy service based outside the USA, such as ​ExpressVPN (based in BVI, a small Caribbean island). Every time you connect to IPVanish VPN, the service will give you a new IP address, hiding your true IP address from any would-be snoops. This is the whole point of a torrent proxy. In addition, IPVanish encrypts your Internet traffic making sure that your actual traffic cannot be monitored either, not even by your own ISP. Not all torrent proxies have this important feature. This makes IPVanish VPN an ideal choice for safe and anonymous torrent file-sharing. By the way, we use the term “anonymous” relatively: no techniques will fully prevent spying by government agencies, but using IPVanish VPN will protect you from all the other snoops we listed at the outset. Now let’s dig a little deeper and explain why you need the protection offered by IPVanish VPN as an effective torrent proxy. If you thought there were lots of downloads available on the web, well, be prepared to be blown away by torrents. Torrents are an easy and fast way to locate and download media files online. Using torrent search sites (basically, specialized search engines for finding torrent downloads) you can find almost any kind of files – ranging from videos, movies, images, documents, games, software apps and anything else you could ever imagine in electronic form. Using free torrent software (sometimes called a torrent client), you can be downloading torrents in a matter of seconds. Literally. If you are not familiar with what torrent files are or how they work, see our detailed torrent guide or review all our torrent-related posts. You need to understand that torrents connect users with each other from all around the world in order to help them find and share files. This interconnectivity is exactly why torrents are usually so easy and quick to find and download. Although there is almost no limit to what you can download from torrent sites, there is the problem of your downloading activities being monitored and tracked. As you probably already know, each computer or Internet-enabled device is assigned a specific IP address (select to check) at any given time it’s connected to the Internet. This means any of your online activities, including torrenting, can be traced back to you through the IP address you were using for a given activity at a given time. You leave these unique IP address “fingerprints” behind every time you use your computer, laptop or devices online; and these fingerprints that can be traced back to you. It is not difficult at all for snoops to figure out what you are downloading, even in real-time! By tracking and cross referencing IP addresses, the snoops can figure out what you have been doing, where you are and even who you are. The snoops can easily link an IP address to the identity of the actual person using it through the logs that are kept on all the various servers your online activities would have “touched”, including the logs from your own ISP. The warnings above sound scary – and they are – but you can protect yourself and your torrenting activities. Thankfully, quite easily too. Using a privacy tool known as a virtual private network or VPN for short eliminates these monitoring and tracking issues at the click or tap of a button. After signing up to IPVanish VPN (a quick, easy and inexpensive process) you download and install a small piece of software on your computers and any devices you want to protect. You open the software, enter the username and password you set up during the sign-up process, and bingo!IPVanish VPN is now hiding your true IP address and shielding all your online traffic behind its ultra-strong encryption. Once connected to IPVanish VPN, you can now go about your online activities including torrenting with the peace of mind that your activities are protected from monitoring and tracking. And if you want to go back to a “normal” online experience – for example, to access your personal webmail or social media accounts or any other time when you are not trying to mask your identity – you can disconnect from IPVanish VPN with another simple click or tap. Another issue to be aware of for downloading torrent files is that ISPs routinely monitor their customers’ activities. They fully know what you are doing! Some ISPs even sell or share this information to third parties. If your ISP figures out you are downloading torrents (they have special tools to detect this kind of traffic), they will often intentionally slow down your connection and downloading speeds. This is sometimes called shaping or throttling. Even if your ISP is not interested in exactly what you are downloading (but why take that chance?) they can become concerned with how much bandwidth you are using and be very tempted to shape or throttle your traffic. This is because torrents use a lot of bandwidth. 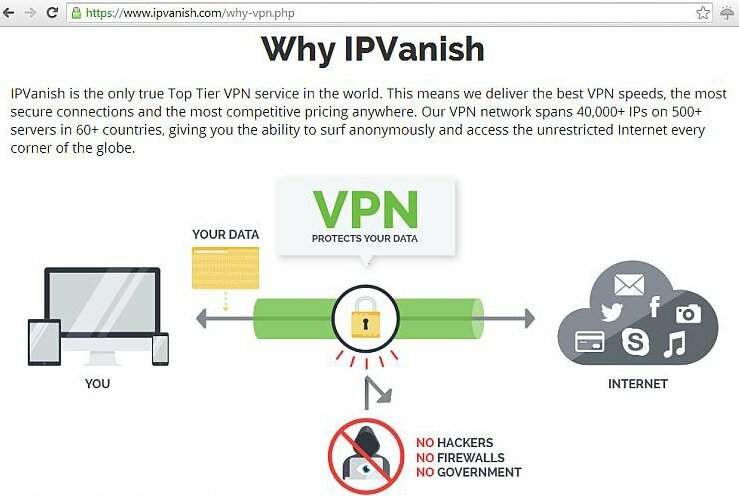 Because IPVanish VPN protects your traffic in an encrypted tunnel of data between its servers and your computer or device, not even your own ISP can detect, let alone see, what you are doing while connected to IPVanish’s VPN service as a torrent proxy. You can also choose the specific location of the IPVanish VPN proxy server you want to connect to. This lets you use select a server to your torrenting advantage and download torrents from servers in more torrent-friendly jurisdictions such as Canada, Netherlands, Russia or Turkey. This can also be handy if you want to seem like you are located in another jurisdiction, whether to access content that is available only in that location. For example, you may have heard about people “geo-spoofing” their location to access a better Netflix library. Using torrents is easy and free, but make sure you don’t pay a price with your privacy! Keep in mind that downloading torrents can sometimes lead to problems, whether with your ISP or third parties. Be sure to use torrents safely and anonymously with IPVanish VPN acting as your ideal torrent proxy. Avoid all the potential hassles and sign up to IPVanish VPN. It has a money-back guarantee so what are you waiting for? Give it a risk-free try now!